Financial planning and wealth management that aligns with your tax situation and strategies. While many tax professionals refer their clients to separate financial advisors, we’ve seen too many cases where outside advisors place their clients in the wrong investments because they don’t fully understand the tax implications of their choices, miss potential opportunities or don’t consider the client’s total financial picture. In our view, failing to plan is planning to fail. 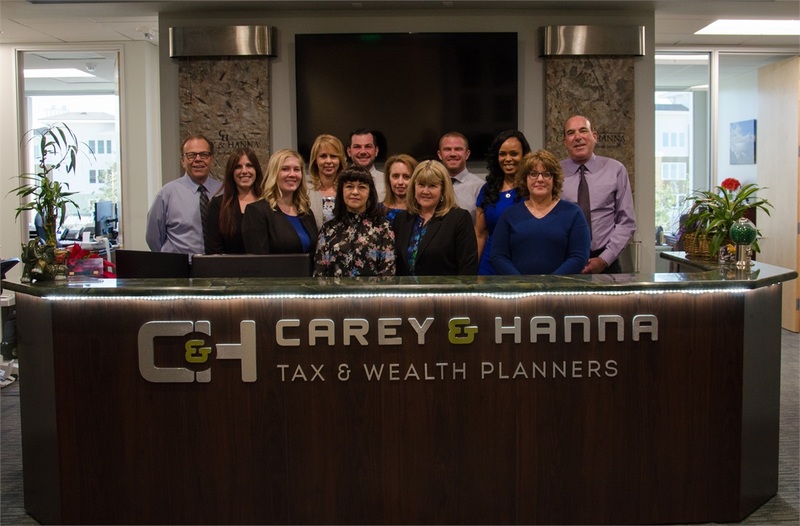 Tax planning and preparation grounded in more than three decades of experience along with a commitment to understanding the latest developments in tax law. We view tax planning as something that happens all year long, not an activity centered on an April 15 deadline. We’re uniquely equipped to assess your tax situation and identify tax-friendly investment planning opportunities. Because we take a big-picture view of your finances, we’re able to create solutions that fit your unique situation. And as independent advisors affiliated with a national independent broker/dealer, we offer you the best of both worlds: You receive friendly, accessible and reliable local service along with the power of HD Vest Investment ServicesSM — a firm founded more than 30 years ago by a CPA who revolutionized financial services by bringing tax services and financial planning together. In addition to the services we provide, we’ve also developed strong relationships with an extensive network of contacts — from attorneys to real estate professionals — whose services complement ours. No matter what your question, we’ll answer it or connect you with a trusted partner who can. Our relationship with you starts the way all solid relationships do: with a thoughtful conversation about what’s important to you. We have clients whose primary focus is retiring comfortably as soon as they’re able. Others want to ensure that they can fully fund their children’s or grandchildren’s higher education. Some want to build a business to transfer to the next generation. Many are already small-business owners facing business and personal financial management issues. And some are simply overwhelmed with the complexities of their financial lives and are looking for simplification, guidance and advice. Whatever your goals, we work with you to define and prioritize them. One we’ve collaborated to identify and rank your key goals, we apply our holistic approach to an analysis of your tax data. This helps us assess your vulnerabilities and opportunities as well as your ability to reach your financial goals. Then, we work to understand your expectations as a client and create a recommended strategy tailored to your unique financial circumstances with an investment mix that supports your goals, addresses your concerns and reflects your tolerance for risk. When you feel comfortable with the plan, we implement and monitor it periodically to ensure that you’re making the progress you expect. We are then in regular contact to ensure that your plan continues to meet your needs and reflect your goals. And, working in collaboration with you, we’ll adjust it as needed to reflect changes in your life, markets and any new priorities you identify. During our initial conversation, we talk through 8 Wealth Management Issues®that can affect you and your family. Each acts as part of a balancing scale: Whenever you adjust one, it affects the others. Legacy planning: We find that this is often at the top of the list of things that keep our clients up at night, so this is frequently where we start to create a plan. We help to ensure that your will, health-care directive, durable power of attorney and other estate planning documents reflect your wishes. And if you haven’t started down this path yet, we’ll keep you accountable until you do. Family risk management: Your family is your most important asset. We conduct regular reviews of your insurance coverages to identify potential risks and establish plans that will meet your needs, now and into the future. Education planning: As college tuitions continue to rise, careful planning to fund your children’s or grandchildren’s education is more important than ever. You need to consider financial aid scenarios, as well as the implications for your own current and future tax situation. Business planning: We’ll talk through strategies aimed at helping you protect your business, structure it properly, improve cash flow, minimize tax liabilities and more. Retirement planning: How do you envision living in retirement? Thoughtful planning and monitoring give you the best chance of bringing that vision to life. Cash-flow and debt management: Having a clear picture of how you’re spending your money is key to deciding how you’ll invest it. Reviewing cash flow and debt enables us to factor your credit history and financial decision-making preferences into your plan. Special situations: From home purchases to weddings to divorce and more, unexpected financial challenges inevitably arise no matter how well you plan. Whenever a new situation arises, we’ll work through it with you. Investment management: Comprehensive investment advice takes a number of factors into account, including your expectations, risk tolerance, income needs, tax efficiency, family situation and time horizon until retirement. We view investment management and selection as the tools to pursue your goals. * These services offered by - Davin Carey, Bob Carey, and Chris Sullivan - through their affiliation with HD Vest.